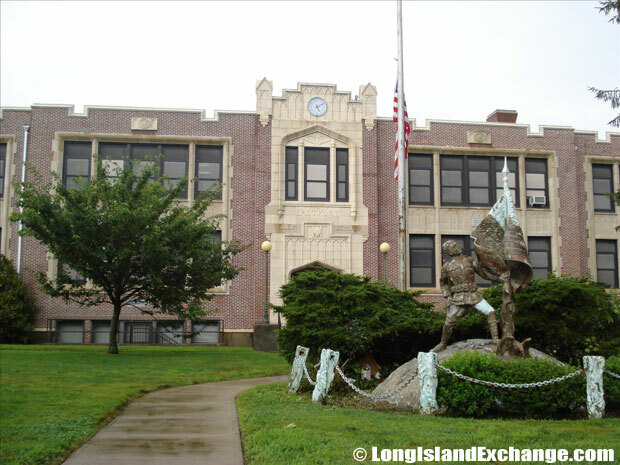 Eastport is a hamlet and census-designated place located in Suffolk County on the East End of Long Island New York. The CDP hugs the borders of Brookhaven and Southampton. 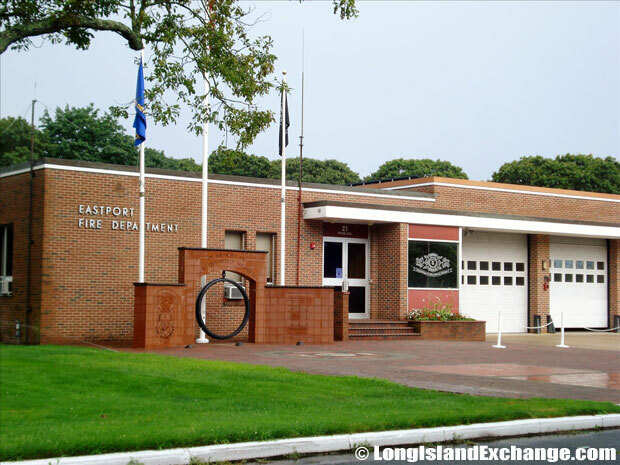 Eastport dates back as far as the 1730s and had been originally referred to as Seatuck. 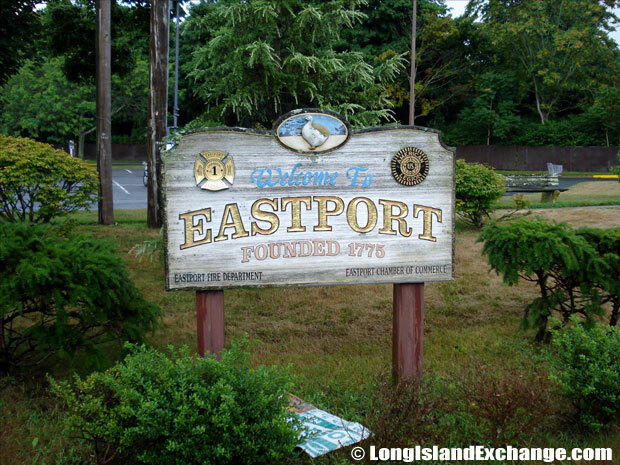 In the 1800s Eastport applied for its own Post Office for the Seatuck zip code but the request was denied due to the names similarity to Setauket which prompted it to be renamed Eastport and assigned the zip code 11941. A sign welcomes visitors and residents to the hamlet and census-designated place of Eastport. 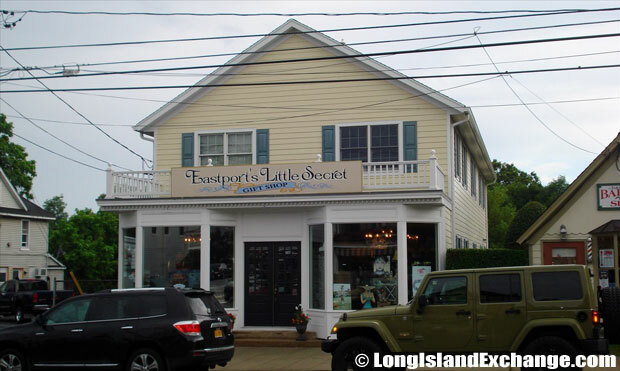 Eastport’s Little Secret Gift Shop at 495 Montauk Highway, Eastport, NY 11941. As of the 2010 census, there were 1,831 people, 702 households and 427 families residing in this area. The median income for a household in the CDP was $75,252 and the median income for a family was $78,459. Males had a median income of $50,632 while only $41,485 for females. The largest racial and ethnic groups which make up residents in Eastport are White (88.5%) followed by Hispanic (8.7%) and Black (1.3%). 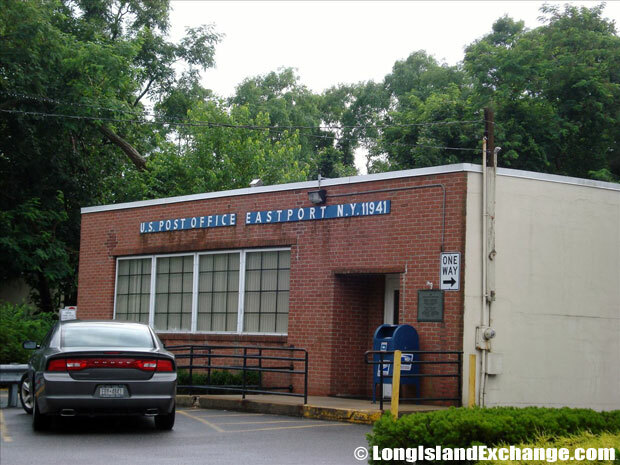 Post Office in Eastport, New York. Eastport Commons or, known to locals, the Eastport Plaza. Eastport is known as the duck capital of the world for its plenty of Peking ducks which were introduced to the United States from China in 1873. By the early 1900’s, there were approximately 29 farms in this hamlet and produced about 6.5 million of the ducks going to market. In the late 1960s, the farmers were forced to build pollution pits to divert the duck waste from waterways because of the pressures of pollution which put most of the duck farms out of business. Today, only one family has actively operated a duck farm in Eastport and Chet Massey, which is the only duck farmer left. 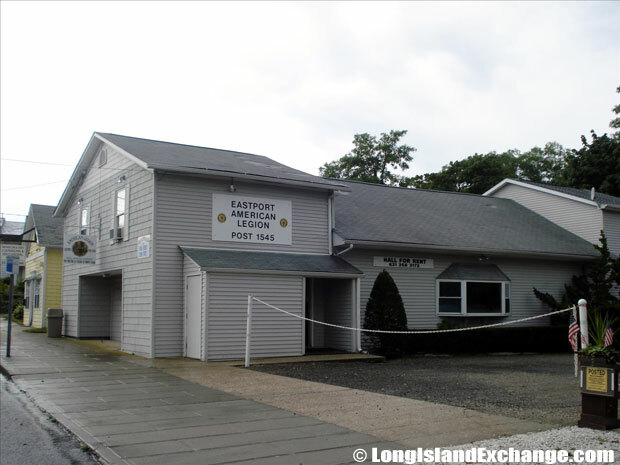 Eastport American Legion Hall Post 1545. Eastport is one of the lesser-traveled ways to the South Fork. 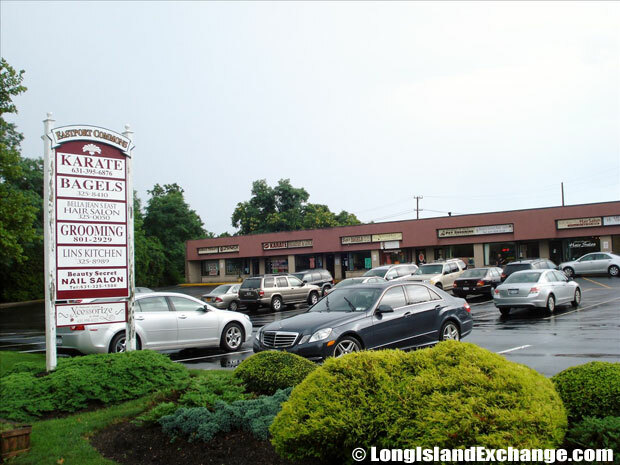 A part of Sunrise Highway where there is no hard traffic between Center Moriches and Remensburg is sometimes used. There are also wonderful destination spots nearby in addition to the waterways. Tourism is also a growing industry in Eastport for there is great natural beauty that surrounds the entire hamlet. 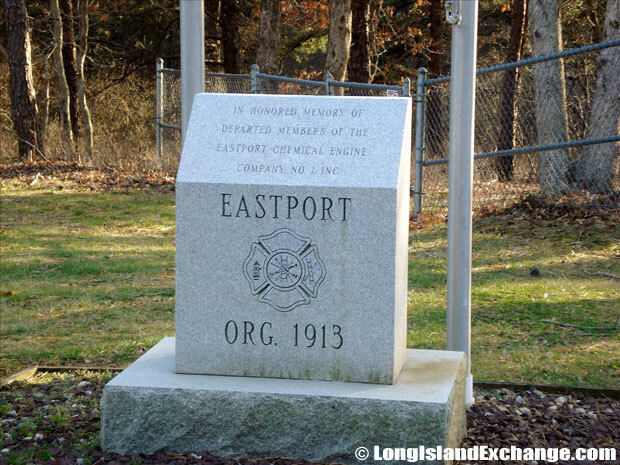 A stone placed to honor the memory of departed members of the Eastport Chemical Engine Company Number 1 Inc., first established in 1913. Homes in Eastport cost an average of about $481,000 and rents near $1,100. The 2012 cost of living index was 154, which is quite high considering that the national average is 100. The average high temperature in July is 84 degrees, with an average low temperature in January of 24 degrees.